In 1955, a young cannery manager in Cabo San Lucas saw his first marlin and had a vision of the future. Seventeen years later he helped to build the landmark Hotel Finisterra, and nineteen years later, in 1974, he opened his own Hotel Solmar at Land’s End. That man was Don Luis Bulnes Molleda, founder of the Solmar Group of hotels and resorts, and a pioneer developer of Cabo San Lucas whose contributions are today remembered with a statue on the city’s marina boardwalk promenade. Solmar is thus a legacy company in Cabo San Lucas – THE legacy company, with ties to the birth of tourism in the Los Cabos region. 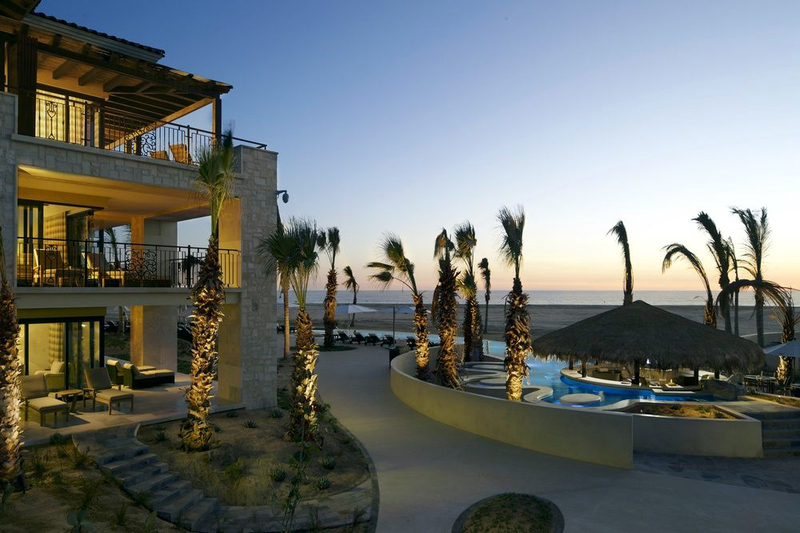 Bulnes and his successors saw very clearly the potential of Cabo San Lucas as a resort destination, but in the process of building a portfolio of first-class properties they never attempted to reinvent the wheel. They very wisely followed the first rule of real estate. Just as Solmar’s first property in 1974 was built beachfront with spectacular Pacific Ocean views, so too is its latest project in 2018: the 834-acre master planned community at Rancho San Lucas. Rancho San Lucas is conceived of as a destination luxury lifestyle experience for both full-time residents and seasonal travelers. Two luxuriously planned residential developments offer an opportunity to enjoy the good life in paradise – with year round sunshine and five-star amenities – but the newly formed community also features two world-class resorts: Grand Solmar at Rancho San Lucas and, as a resort-within-a-resort concept, The Residences at Rancho San Lucas. Grand Solmar at Rancho San Lucas is patterned after its sister resort, Grand Solmar Land’s End Resort & Spa, which is masterfully integrated with its magnificent natural surroundings – the half-mile headland which marks the southernmost point of the Baja California peninsula – and pairs jaw-dropping ocean frontage with lavishly outfitted accommodations, fine food and wine, and soothing ministrations at its full-service spa and wellness center. 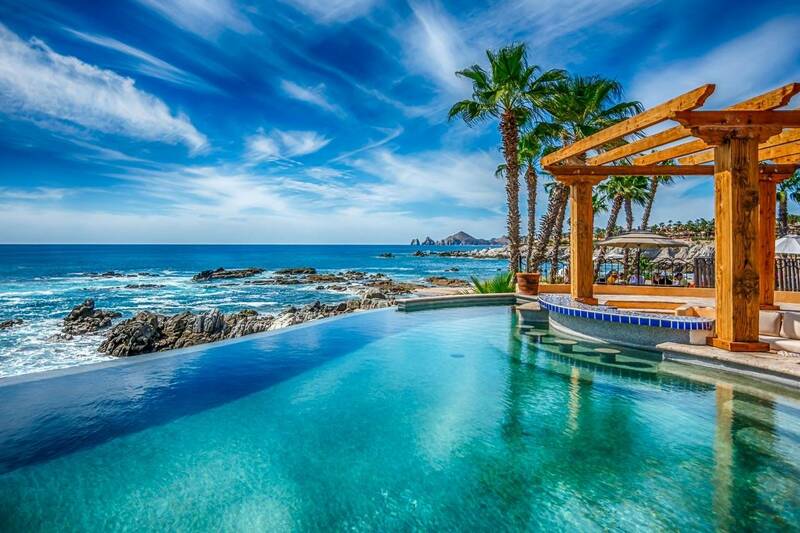 Grand Solmar at Rancho San Lucas is not integrated into granite Land’s End monuments, but rather overlooks a mile-long stretch of secluded Pacific Coast beachfront north of the city. The Residences at Rancho San Lucas, occupying the same privileged location, are a perfect upscale option for couples, families and groups interested in extended seasonal stays. Two-, three- and four-bedroom penthouses suites offer a luxury villa style vacation experience, from full kitchens with marble counters to ceramic tiled baths and private ocean view terraces. The resorts and residential properties at Norman Estates and The Villas comprise the heart of Rancho San Lucas, but the windswept coastal panoramas and abundant boutique amenities are its soul. The various communities are connected by a Mexican shopping village, and share resort style activities and attractions like tennis courts, hiking and biking trails, and a championship-level golf course designed by two-time major champion Greg Norman. Solmar’s legacy values and talent for developing eye-popping locations are shown off to breathtaking effect at Rancho San Lucas. Potential buyers have a choice between two gated communities: the exclusive Norman Estates – 36 estate homes and 32 luxury residences – and The Villas, which are two-stories tall and perched at higher vantage for maximum “wow factor” vistas of ocean, desert and the signature Greg Norman designed golf course. All are stunningly designed and appointed. Norman Estates allows owners to live like landed gentry, with hacienda style homes that start at 6,200 square feet, each distinguished by an interior courtyard and large outdoor living areas. 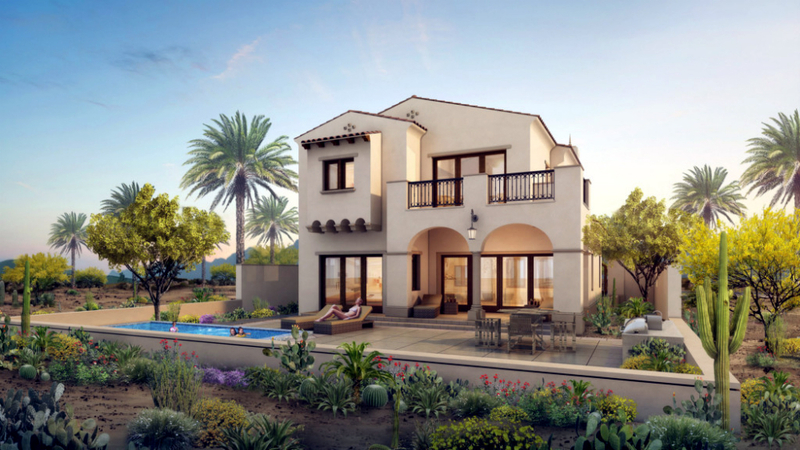 The Villas, by contrast, are built in the classic Santa Barbara architectural style, with stucco walls, tiled roofs, and an exquisite mix of traditional and contemporary Mexican and Spanish accents. Rancho San Lucas is located just north of Cabo San Lucas, along a pristine stretch of gloriously untamed coastline. The sound of Pacific Ocean waves breaking onto the beach provides a meditative soundtrack for property owners, and during winter months transiting whales can be seen breaching just offshore. The community is a short drive from downtown Cabo San Lucas, and is only a 30 minute drive from the Los Cabos International Airport in San Jose del Cabo, thanks to a lightly traveled nearby toll road. Rancho San Lucas’ neighbors on the Pacific Coast of Cabo San Lucas – Quivira and Diamante – each have superb golf courses ranked among the “World’s 100 Greatest Golf Courses” by Golf Digest. Not to be outdone, Rancho San Lucas has brought in the “Great White Shark,” Greg Norman, to design its own magnificent coastal layout. Norman is no stranger to Los Cabos. He and Jack Nicklaus collaborated on a composite course at Puerto Los Cabos, one that is eventually expected to be expanded into full 18-hole courses from each of the legendary major champions. 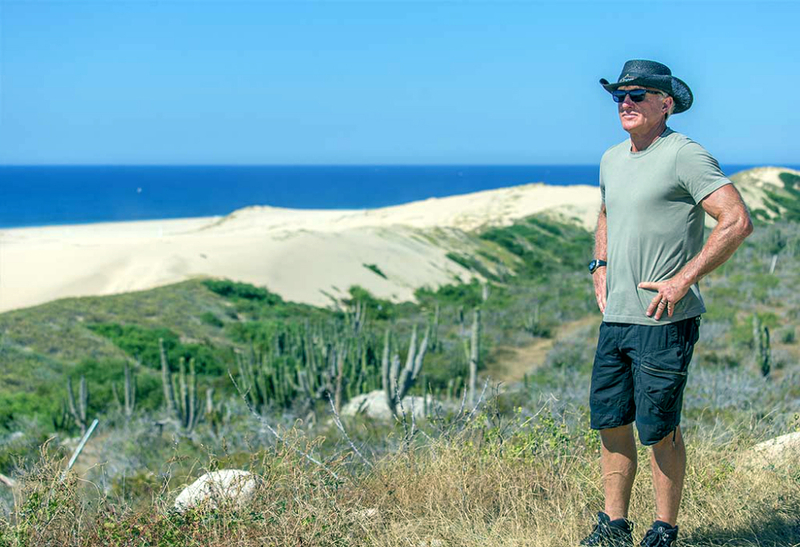 But Rancho San Lucas will claim the first completed 18-hole Los Cabos course from Greg Norman Golf Course Design – now credited with over 100 courses worldwide – with the finished product expected to open during 2019. Early looks promise an unforgettable playing experience, ranging from high desert conditions to lower links style areas near the ocean. Six holes will hug the coast, highlighted by an incredible island green on the 17th-hole. Norman’s Rancho San Lucas Golf Course is the centerpiece attraction, but Rancho San Lucas also boasts a host of other upscale amenities, including tennis courts and a sports complex, and a community village home to shopping, dining and entertainment options. Grand Solmar at Rancho San Lucas Resort offers five restaurants, a pampering spa and fitness center, and day use of the beach club and its lagoon style swimming pools. The gorgeous coastal property also showcases over 1.2 miles of pristine beach, as well as a family picnic area with BBQ facilities next to its 15-acre lake. Owners may also enjoy access to 15 miles of hiking, jogging and mountain bike friendly trails. 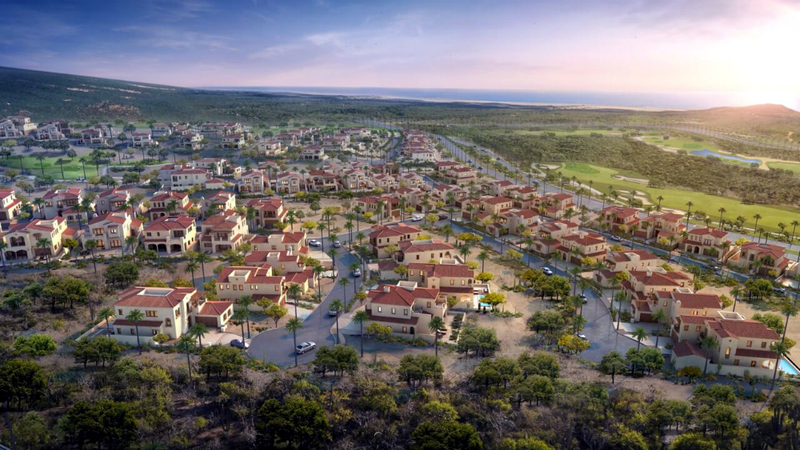 We can only represent your interest in purchasing at Rancho Los Cabos, and we have accepted this role only after completing due diligence and approving Rancho Los Cabos as a safe, transparent investment.